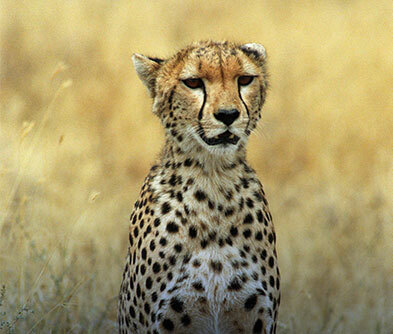 Right at the heart of the Serengeti sits the world’s largest unbroken and unflooded Caldera. 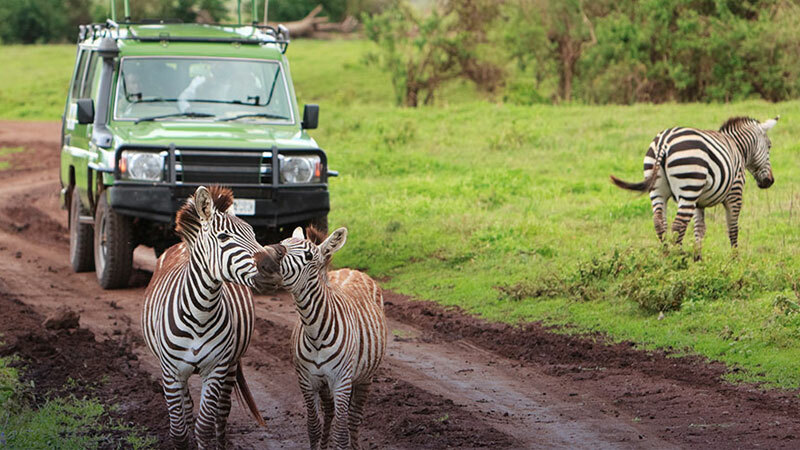 A natural game reserve, it is replete with all the big safari animals and over 500 species of birds. As your vehicle descends the tall walls of the Caldera, your gaze is arrested by a lake of pink. 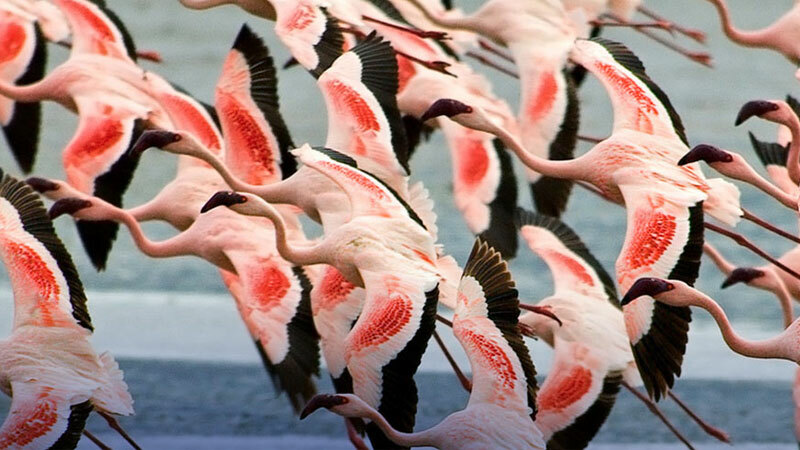 Pink flamingos own all squatting rights over Lake Magadi and have no intentions of going anywhere. 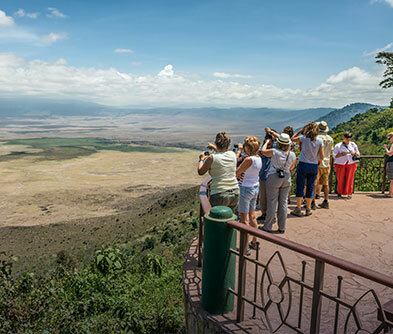 The floor of the Caldera is flat and open and in the distance you can spot herds of zebras, wildebeest, warthogs, gazelles, clans of hyenas, solitary jackals, curious vultures et al. Lucky visitors may even spot the endangered black rhinos. 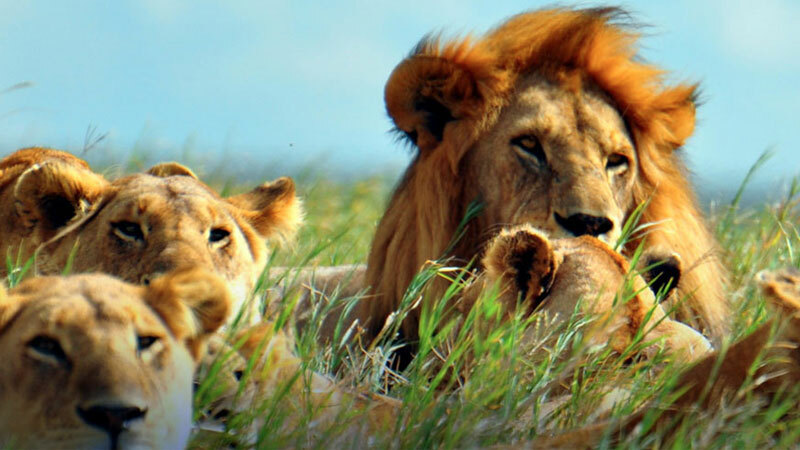 Ngorongoro has the largest concentration of lions. 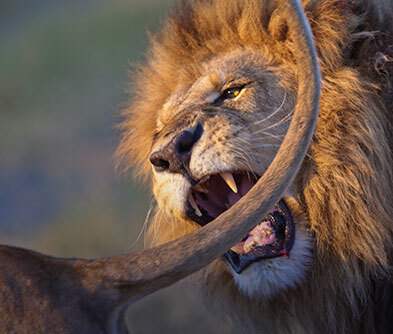 The Caldera’s topography is like a holding pen for prey and these kingly predators enjoy a pampered existence! Lions happily stray across the paths without sparing on-lookers a second glance. 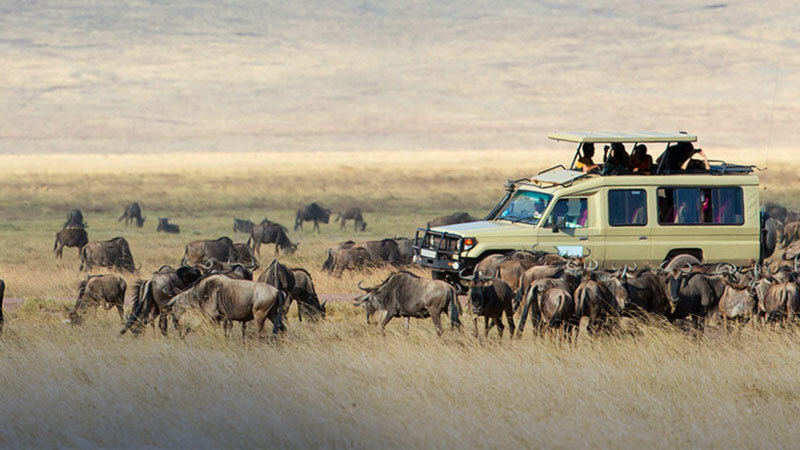 Apart from the game drives, you also have the option to visit Maasai villages and learn their ancient culture. The crater rim has several luxury safari properties, all acclaimed for their hospitality, food and wine.